At Rintoul’s we offer Hot Tub service and repair for all makes and models. If you have a problem with your hot tub, let our professionals assess and repair the problem and have you relaxing and enjoying your hot tub in no time! Call, email or drop in to book a service call today. 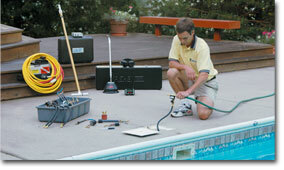 If you have technical questions relating to your Hot tub, or even your pool system, call the service department, and we can troubleshoot your problem for you. Give Scott a call today 519-376-5858, or send an email by clicking the mail button below!